Home|Floral Library|Moth Orchid – Phalaenopsis spp. Decorative Life: Ranges from 20-30 days or more in some cases. From the Greek “phalaina” (a moth) and “opsis” (resembles), referring to the likeness of the flower to a large moth. 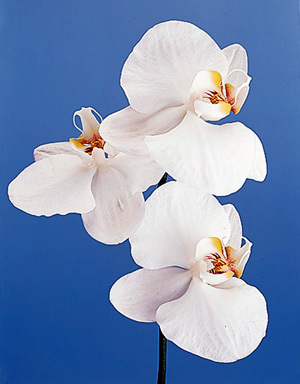 Chilling injury or ethylene damage appears as translucent or dried patches on petals and sepals.